You 've gotta see this post from Alaskan Crafter it is the cutest little street artist booth I've ever seen. And a talented poet too. Yup. 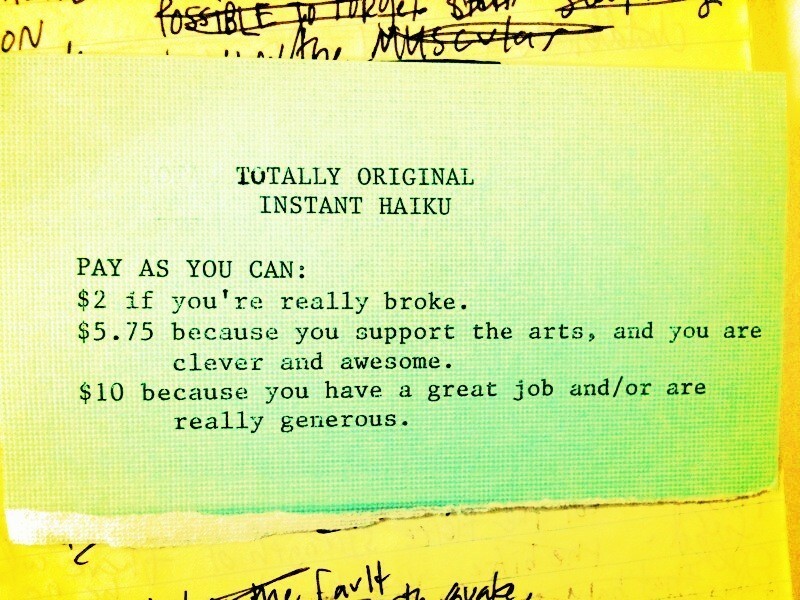 Like a lemonade stand, except that she sells haiku. A little bit of existential wisdom in a 5-7-5 sized bite. 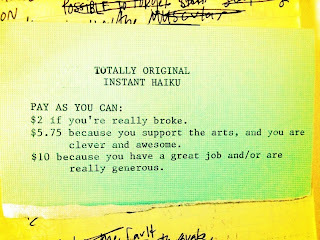 AND, they only cost a suggested donation of $5.75, which goes mostly to a local poetry slam group. She even types them up on an old typewriter for you, how sweet is that? Ahhh, clever and giving at the same time, who is this wonder-woman?